** FAIR/USED CONDITION. RECOMMENDED FOR INFORMAL EVENTS (GRADUATIONS, BACKYARD PICNIC). NOT RECOMMENDED FOR WEDDINGS. PLASTIC SEAT AND BACK WITH A METAL FRAME. CHAIRS STACK 50 HIGH ON A PALLET. WEIGHT LIMIT IS 250 LBS. 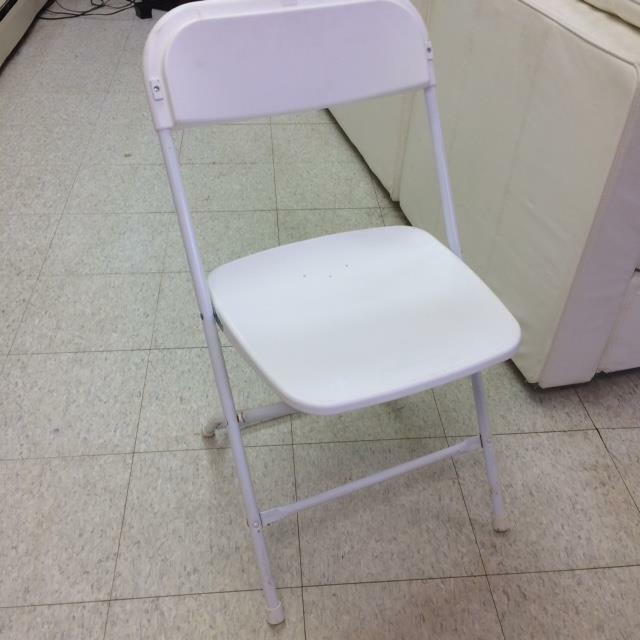 * Please call us for any questions on our chair folding metal white festival rentals in Kalamazoo MI, and Southwestern Michigan.